A new monthly open format dance party for music lovers looking for more..
Before we present our first ever Makossa Oakland Cookout (#MakossaOAK) on SAT 9/29 (www.fusicology.com/event/makossaoak) we got a nice evening of dance music from across the spectrum to kick off the weekend. 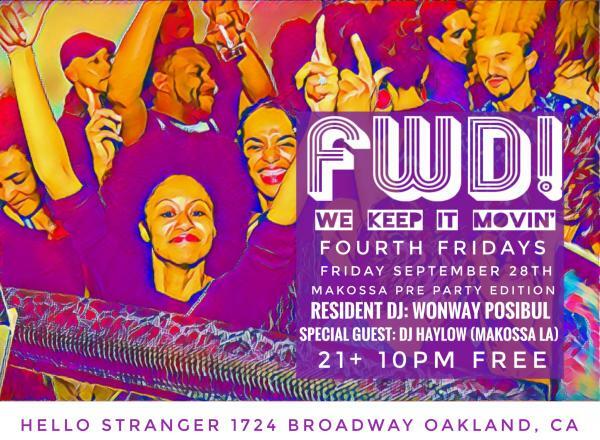 Makossa LA’s own DJ Haylow will be trading off back to back sets with Wonway all night. If you came last month with DJ Rashida, you already know how we get down. If you haven’t come learn and get ready to move..